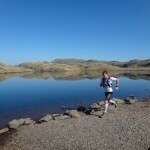 High Terrain Events have announced details of the Scafell Pike Trail Marathon, a brand new event for 2013 incorporating England’s highest peak. The date is scheduled for Sunday 19th May and is to be held in conjunction with Keswick Mountain Festival. Starting on the shores of Derwentwater, the course takes runners on a 42km journey into the heart of the Borrowdale valley, through some stunning mountain scenery, whilst taking in a total ascent of 1,800m. From Seathwaite the route heads to Styhead Pass and then across the spectacular Corridor Route to Scafell Pike. The 21k half marathon mark is actually at the summit of Scafell Pike and there will be a special prize for the fastest runner to this point. From the summit the route continues across some superb high level mountain terrain to Esk Hause, then descending past Sprinkling Tarn before returning back to Seathwaite via Styhead. The route then follows the valley floor to the traditional lakeland village of Rosthwaite, then onto a steady climb to the secluded hamlet of Watendlath. The trail then continues along the beautiful Watendlath valley before descending to the iconic Ashness Bridge, then returning to the lakeshore past Friars Crag and into the finish at Keswick. 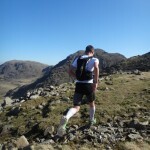 “I love the idea of a marathon trail race going over Scafell Pike. 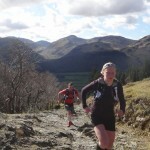 This really is mountain trail running at it’s best, the variety of terrain throughout the whole route is superb. This looks like this will be a classic race and is definitely on my calendar” Ricky Lightfoot. 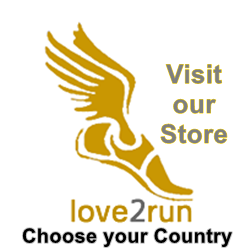 However, you do not have to be super fast or an elite athlete to enter. This will be an awesome challenge if you’re looking to push yourself that bit further! Although the route follows the main trails, the ability to navigate the mountain section is essential. In view of this, High Terrain Events will be holding a recce weekend for this event. This is provisionally planned for the weekend of 23/24 March. 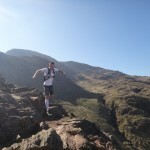 The plan will be to run from Keswick on the Saturday and cover the section based around Derwentwater, then on the Sunday cover the Scafell section which will start and finish at Rosthwaite.